Harry Redknapp left Old Trafford with plenty to ponder as Manchester United roared back to win 3-1 and condemn QPR to the worst Premier League start any side has made after 13 games. Rangers remain rooted to the foot of the table despite taking a second-half lead through Jamie Mackie. Any hope Redknapp might have had of his new charges marking his installation as manager by recording their first win of the season evaporated with three United goals in a nine-minute burst. Unlikely scoring hero Jonny Evans grabbed another to pull the hosts level before Darren Fletcher found the perfect way to mark his first Premier League start in a year. Javier Hernandez bagged another to confirm United's status as leaders ahead of Manchester City's visit to Chelsea on Sunday. Redknapp had seen enough, leaving four minutes from the end to contemplate what he has already admitted represents the biggest challenge of his managerial career. By half-time, Redknapp would have at least been able to content himself that he had something to work with. Rangers had a sense of purpose and stuck to their defensive duties with diligence, even though they were assisted by the lacklustre nature of United's display. Stand-in manager Mark Bowen might even have had a goal to celebrate after Mackie converted an excellent cross from Djibril Cisse, only for the effort to be ruled out by a tight offside call going against him. If Redknapp, stationed alongside chief executive Philip Beard in the directors' box, could enjoy his break in positive mood, the notable United figures sat nearby, who had stayed on from Friday's Ferguson statue unveiling, would have been less happy. 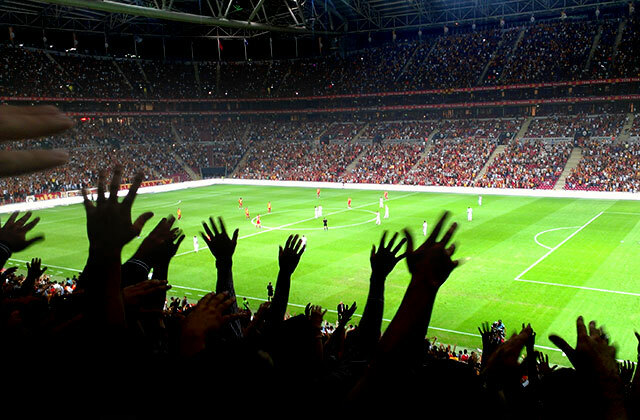 After successive defeats at Norwich and Galatasaray, the hosts should have been ready to tear at weakened opponents. Instead, they pawed around in virtual disinterest. Danny Welbeck produced cut-backs from either flank for Robin van Persie and Wayne Rooney but neither marksman could hit the target and Ashley Young also sliced the ball into the side-netting. You would not have needed to be around as long as Redknapp to understand being goalless at half-time against a team managed by Ferguson counts for little. On the previous 21 occasions United had been in such a position, 19 had ended in a home win. Nevertheless, the confidence exuded by Julio Cesar to step inside a Rooney challenge deep inside the visitors' box suggested a large degree of confidence, either than or insanity. Yet, this season at least, as much a feature of United winning has been their concession of the first goal. It had happened in their previous four games so it was no surprise they should fall behind again. Defensively, they were supposed to be getting stronger personnel wise. There was no evidence of it though as United failed to read a short corner and then failed to prevent Kieron Dyer getting down the by-line. Then, after Anders Lindegaard had only been able to shove Dyer's low cross away from his goal, Mackie finished off. Within minutes, Adel Taarabt had curled a free-kick narrowly over. Ferguson took immediate action, hauling off Paul Scholes and Young in favour of Anderson and Hernandez. The change took a little while to have any discernable effect but, eventually, United brought themselves level. Rooney spoke only on Friday about not being bothered to relinquish some of the goalscoring responsibilities he has carried since Cristiano Ronaldo's departure. He cannot have expected Evans to have picked up the mantle. Prior to this season, the Northern Irishman had only scored one United goal. When he was on hand to turn home Welbeck's header from Rooney's corner, it was his third of the season. If that goal was well received, the one Fletcher got to put the hosts ahead from another Rooney corner triggered an emotional reaction from the Scot. It was Fletcher's first Premier League goal since that derby-day mauling by Manchester City 13 months ago, most of the intervening period he spent battling against a chronic bowel complaint that threatened his career. Hernandez was soon tucking home his ninth of the season as QPR showed their brittle side again, completing a disastrous nine-minute spell which underlined why they are in so much trouble. Clint Hill had a header cleared off the line by Rafael before the end, although by then, Redknapp had gone anyway.